ORCA Hub at Heriot-Watt University has become the first in the UK to acquire a second generation Furhat robot which will be used to continue their work exploring trustworthy robotics. 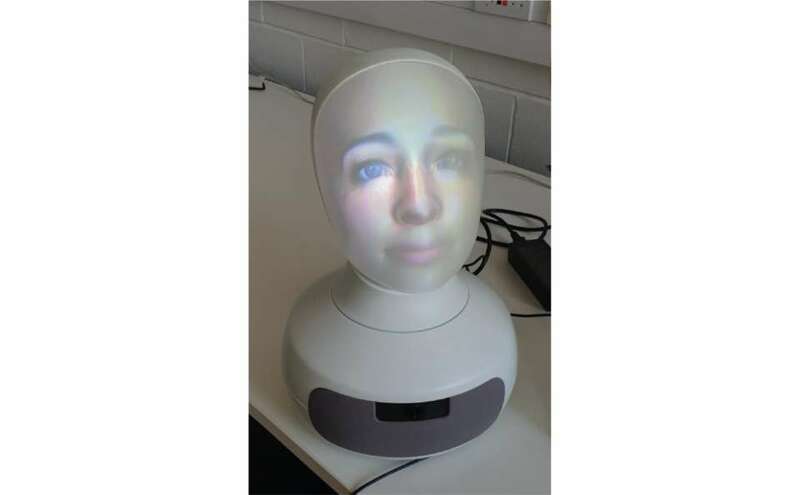 Our Human-Robot Interaction team led by Professor Helen Hastie is working on predicting cognitive overload simply using the operator’s language and as such in a truly non-invasive way, compared to previous methods such as EEG. The cognitive load imposed by the task of managing multiple vehicles in stressful situations has been shown to affect the way people communicate, their actions and their information needs. In order to provide a multimodal interface (such as MIRIAM) that is in-tune with the user, we need to monitor and adapt to the user state. We have studied ‘symptoms of cognitive load’ in terms of what a user says, the types of words they use and how they say it (intonation). The future goal on ORCA is to be able to track these symptoms during interactions and have the ORCA multimodal interface adapt to the user in real-time - for example, delaying less urgent information or re-prioritising tasks. This work moves towards more efficient collaboration between humans, robotics and autonomous systems on offshore energy platform maintenance tasks. Although ORCA is working to reduce the need for personnel in hazardous environments, it is essential that onshore operators maintain situation awareness to monitor the mission and handle unforeseen circumstances. MIRIAM (Multimodal Intelligent inteRaction for Autonomous systeMs) combines visual indicators of status with a conversational agent component and offers a fluid and natural way for operators to gain information on vehicle status, explanations of system behaviour and mission progress.